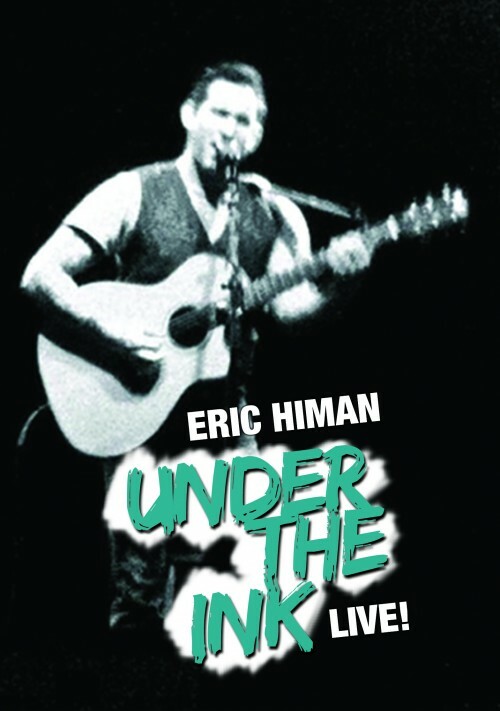 Check out Eric's FIRST live DVD! Eric joined up with amazing producer/singer/songwriter, Namoli Brennet (who co-produced SUPPOSED UKNOWN), a team of great backup musicians, and the lush sounds of a string quartet on Eric's favorite originals and a special cover of the classic, “Because The Night”. DVD also includes bonus features such as the music videos of “Dust” and “Little Boy Blue”, acoustic takes on songs like, “Bartender” and “You're Gonna Need Me”, and an episode of Eric's popular online cooking show, TRIAL AND ERIC! Check out Eric’s FIRST live DVD! Eric joined up with amazing producer/singer/songwriter, Namoli Brennet (who co-produced SUPPOSED UKNOWN), a team of great backup musicians, and the lush sounds of a string quartet on Eric’s favorite originals and a special cover of the classic, “Because The Night”. DVD also includes bonus features such as the music videos of “Dust” and “Little Boy Blue”, acoustic takes on songs like, “Bartender” and “You’re Gonna Need Me”, and an episode of Eric’s popular online cooking show, TRIAL AND ERIC!